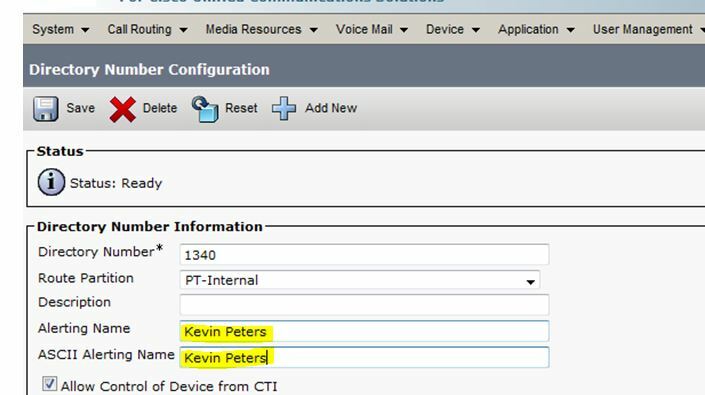 The problem is the Unity system is including a common in the Alerting Name (i.e Peters,Kevin). There is also an option to upgrade to build “7.1.5bsu2” or newer to correct the issue. However, there are many things to consider when upgrading versions of your Call Manager so I would suggest working with Cisco TAC to verify this upgrade is the right approach to resolve the issue while leaving your environment intact. This entry was posted in Uncategorized and tagged Cisco Call Manager Voicemail, Event ID 2010, Exchange 2010 SP1, Unified Messaging. Bookmark the permalink.